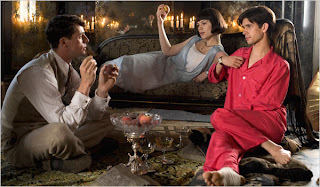 The other night I watched Brideshead Revisited... and was quite smitten. 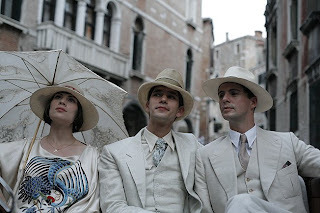 Set in 1930's England... the outfits and settings were amazing. And even though the movie had pretty intense subject matter, it still had dream-like quality that I couldn't get enough of. and not to mention that it's possible I'm completely infactuated with Matthew Goode now. No no, it was still a good movie. I suggest seeing it... he is just an added bonus. I think it came out last year. I don't think it was widely publicized because I had only seen a brief trailer and thought it looked interesting. You should watch it.